Dirt and gunk block a smooth flow of fuel from the tank through the fuel filters back to the engine. If your primary fuel filter has a separator bowl, shine a flashlight through the bowl to check for water or dirt. Drain the bowl of contaminants. Change fuel filters at least once a year in separator and non-separator type fuel filters. Remember to change the secondary fuel filter (located on the engine near the injection pump) once a year. This filter serves as the final sentry to stop dirt before it gets to the injectors. Keep your fuel tank 90% full to discourage algae growth on the tank walls. Add a biocide solution to the fuel to stave off harmful microbes. If you cruise to foreign ports, change fuel filters more often. To be on the safe side, use an in-line filter between the fuel hose and your tank. 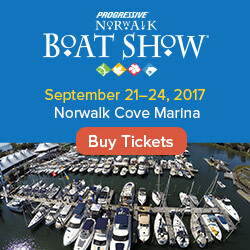 Look for black smoke coming from the marine exhaust hose at the stern when you accelerate. This indicates air blockage, overload (see below) or dirty or clogged injectors (see below). Change your air filters once a year to keep the engine purring like a cat. If practical, dive down and check the propeller and shaft. 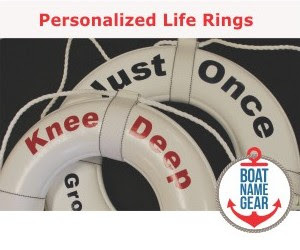 Otherwise, you might need to hire a diver or haul your boat out of the water. Small cruising sailboat skippers rarely run their engines at high throttle long enough. Carbon deposits in the cylinders can gum up valves and cause them to stick in the closed position. Back pressure causes your engine to lose power. Change your oil and oil filter twice a year to avoid this problem. When dirty fuel gets past your fuel filter "gate guards", the injectors clog up. Your diesel engine loses power, hesitates or refuses to run. Change your fuel filters at least once a year (see #1). 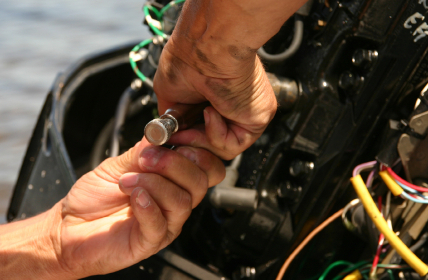 Cruising boat skippers can expect great service from their small boat diesel engines when they follow these simple preventative maintenance tips. Change your fuel, air and oil filters often to keep your engine running like a top! Captain John teaches sailing skippers the no-nonsense cruising skills they need beyond sailing school. Sign up for his highly popular FREE sailing tips newsletter at http://skippertips.com. Become a member for instant access to 425+ articles, video tutorials, newsletters, and free eBooks.